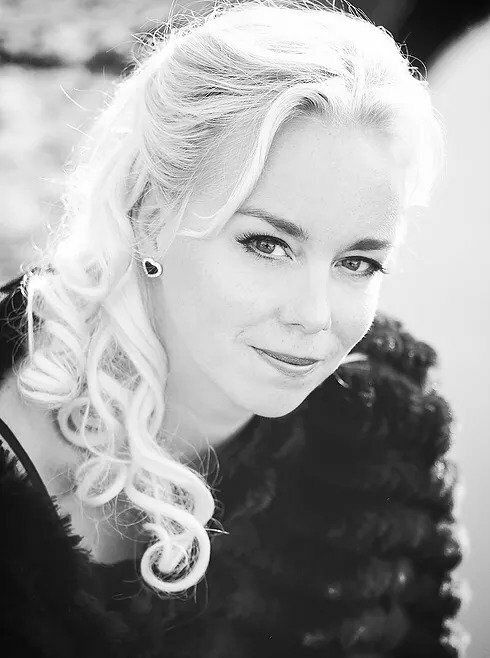 Elisabet Strid started her international career 2010 at the Norwegian National Opera Oslo as ELISABETH in Stefan Herheim’s Tannhäuser production. Since then, she has sung this very role at the Semperoper Dresden, the Rhine Opera Dusseldorf-Duisburg and at the Festival in Tampere. Here, the Swedish soprano is regularly demanded for gust performances including SENTA in Der Fliegende Holländer and SIEGLINDE in Die Walküre. Elisabet is also a permanent guest at the Opera House Leipzig. Here, she earned much acclaim as ADA in Die Feen, as BRUNNHILDE in Siegfried and with her debut as SALOME in 2017. At the Latvian National Opera in Riga she sang SIEGLINDE, GUTRUNE in Götterdämmerung and IRENE in Rienzi. In 2013 she made her debut as FREIA in Das Rheingold at the Bayreuth Festival and in the same year she made her successful America debut she made 2013 with SENTA in Der Fliegende Holländer at the Michigan Opera Detroit. One of the artist’s most-sung roles is RUSALKA, a role with which she achieved particular successes at the Helsinki National Opera, the Teatro de Bellas Artes in Mexico, at the Capetown Opera in South Africa and at the Gothenborg Opera House. Moreover, at the Helsinki Opera she also made a great impression in the Puccini operas Madama Butterfly as CHO-CHO-SAN and Il Tabarro as GIORGETTA. Elisabet studied singing at the Stockholm University and graduated here in 2004. Already during her studies, the young soprano made her debut at the Vastena Academy as Brygitta, in Carl Unander Scharin’s opera, which he had composed in 2003. In the same year, she sang ANTONIA in Les Contes d’Hoffmann at the Royal Opera Stockholm. Among her first roles there are also parts like MUSETTA in La Bohème (performed at the Malmö Opera House) and ELLEN in Peter Grimes. Elisabet Strid made her debut as a concert singer with the Swedish Radio Orchestra (Francis Poulenc Gloria). She performed Wagner’s Wesendonck-Lieder with the OFUNAM-Orchestra in Mexico-City, GUTRUNE in Götterdämmerung with the Gothenborg Philharmonic Orchestra and the 9th Symphony with the Stuttgart Philharmonic Orchestra and the Stockholm Symphony Orchestra. Besides, Elisabet Strid works with renowned conductors and stage directors such as Andris Nelsons, Kiril Petrenko, Adám Fisher, Esa Pekka-Salonen, Cornelius Meister, Axel Kober, Ivan Anguélov, Lorin Maazel, Ulf Schirmer, Kent Nagano, Frank Castorf, Barbe&Douce and Aron Stiehl. In the season 2016⁄2017 she enjoyed great success as NYSSIA in King Kandaules at the Flemish Opera in Antwerp. She sang CHRYSOTHEMIS in Patrice Chereau’s famous production of Elektra at the Helsinki National Opera and at the Baltic Sea Festival in Stockholm at the sides of Nina Stemme. She was SENTA at the Wiesbaden May Festival and at the Festival Opera Open in Plovdiv. She performed BRÜNNHILDE in Siegfried at the Budapest Wagner Days, where she had already known huge success as SENTA. At the Gothenborg Opera she sang KERSTI in the Swedish opera Kronbunden. In France, she made her debut as SENTA in Der Fliegende Holländer at the Opera House in Lille. In the season 17⁄18 Elisabet Strid made her debut as SIEGLINDE at the Lyric Opera Chicago. Besides, she sings this very role also in a new production of the Dusseldorf Opera. She is BRÜNNHILDE, SALOME and ELISABETH in Tannhäuser at the Opera Leipzig and returns as SENTA to the Budapest Wagner Days. Future engagements include LISA in Pique Dame in Düsseldorf, SENTA at the Stuttgart State Opera, GIORGETTA in Oslo and MARIETTA in Die tote Stadt in Helsinki. In 2017 her first CD Leuchtende Liebe (Beethoven & Wagner) was released under the label Oehms Classics.